What Is the Cost of A New York Speeding in a School Zone Ticket? A ticket for speeding in a school zone in New York costs between $45 and $1,200, depending on the speed, day of the week, and time of day. Fines When School is in Session: From 7 a.m. to 6 p.m. on days that school is in session, speeding in a NY school zone costs $90-$300 for going 1 to 10 mph over the limit; $180-$600 for going 11 to 30 mph over; and $360-$1,200 for going 31+ mph over. Fines When School is Not in Session: From 6 p.m. to 7 a.m. on weekdays or on weekends or school holidays, a NY school zone speeding ticket costs $45-$150 for speeding 1 to 10 mph over the limit; $90-$300 for speeding 11 to 30 mph over; and $180-$600 for speeding 31+ mph over. Surcharges: In addition to the fine, speeding a school zone comes with a mandatory state surcharge of $88 or $93, depending on whether the driver was in a city or a town/village. Driver Responsibility Assessment Fee (DRA): The New York DMV will issue an additional fine to any driver who receives six or more points within an 18-month period. This fine is known as the Driver Responsibility Assessment fee (DRA). A DRA costs $300 plus $75 for each point after six. This fee is paid to the DMV and is separate from the fines and state surcharge associated with the ticket. Points: If convicted, drivers will get 3 points for speeding 1 to 10 mph over the limit in a school zone; speeding 11 to 20 mph over will result in 4 points; the DMV assess 6 points for speeding 21 to 30 mph over; drivers get 8 points for speeding 31 to 40 mph; and speeding 41 mph or more over the limit in a school zone means 11 points (and likely a suspended license). Auto insurance premium increases: A conviction for speeding in a school zone in New York can seriously impact one’s auto insurance premiums. Studies show that even a single speeding ticket can lead to up to a 30 percent increase in a driver’s insurance rates. Speed limits in NY school zones are typically 10 mph lower than the standard speed limit of the stretch of road before and after the school zone. The reason for this lower speed is to reduce the chances of accidentally striking a child who may be in or near the street or crosswalk. 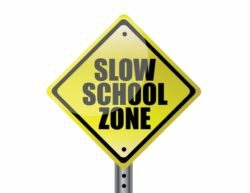 While school zones tend to be well marked with signage, drivers can sometimes be caught off guard when the speed limit drops and end up entering the school zone at a much higher rate of speed than they intend. For example, a driver going 46 mph in a 35 mph zone (11 mph over the limit) can be hit with a 4-point speeding ticket with a maximum cost of $393. However, a driver who crosses into a 25 mph school zone at 46 mph while school is in session is going 21 miles per hour over the speed limit. This is a 6-point school zone speeding ticket which carries a maximum penalty of nearly $1,000 ($600 fine + $300 DRA + 93 surcharge)! In addition to much more severe penalties, it’s more likely that an officer will pull someone over for this. Fines for speeding in a school zone in New York can cost twice as much as regular speeding tickets if the incident occurs on a school day. As such, a single ticket can cost hundreds and even thousands of dollars thanks to the combination of fines, surcharges, and insurance increases. An attorney can attempt to reduce a speeding in a school zone ticket to a non-school zone speed or non-speeding violation, or plead it down to a lesser-point ticket such as improper turn (a two-point violation). With a reduced ticket, the impact on one’s driving record and auto insurance rates can be mitigated. While NYC doesn’t allow plea bargains (though other NY traffic courts do), a skilled trial attorney with traffic court experience can fight the ticket at trial and will give you a substantial advantage by knowing what questions to ask the officer and the legal arguments that have the best potential for being accepted by the judge. 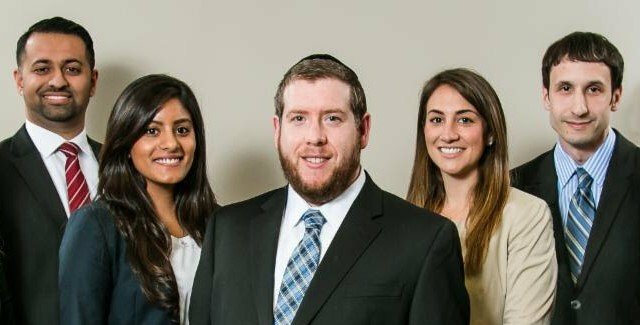 In addition, hiring an attorney saves the driver the hassle associated with fighting a ticket in court. The lawyer will take over the case and do all the work, including appearing in court in lieu of the driver. A school speed limit may be established on a public roadway at a school or day care facility under certain conditions. For example, the school must teach one or more grades under 12 and some of those students must walk or bicycle to or from school. Alternatively, school-related facilities (e.g. parking lot, gymnasium, athletic fields, etc.) must be separated by a roadway which students must cross on foot to access. The school zone must also be supported by both the school administration and the local jurisdiction where it resides. Once an area is established as a school zone, the area must have marked crosswalks and be supervised by an adult crossing guard during school hours. If the school or day care has traffic control devices or a pedestrian overpass, then the road is typically not marked as a school zone. Can I be ticketed for speeding in a school zone on a weekend? Yes, so long as you are speeding in a school zone you can be ticketed under statute 1180(c). However, the fines are different on weekends then they are on school days from 7 a.m. to 6 p.m. On days when school is in session, the fines are often twice those on the weekend. Does the school zone speed limit apply when school is not in session? Yes. The speed limit in a school zone does not change simply because school is not in session. So if the roadway is 35 mph and the school zone on that road is 25 mph then a driver who drives 35 mph in the school zone can be ticketed for going 10 mph over the limit, even on weekends and holidays. The only difference between school being in session vs. not being in session is in terms of the fines. Do NY school zone camera tickets result in points? No. Speed cameras, even those in school zones, do not result in points. The reason for this is that the camera (unlike an officer) cannot tell who is driving the vehicle so the DMV cannot assess driver’s license points. The registrant of the vehicle will be responsible for the fine. Do school zone tickets have a greater impact on premiums than regular speeding tickets? While there is no specific data on this, it is very likely that a school zone speeding ticket will have a greater impact on one’s insurance rates than a traditional speeding ticket. After all, insurance companies raise rates in response to the risk associated with a given traffic violation. Speeding in a school zone carries all the same risk as speeding, plus the additional the risk of injuring children (as well as parents, teachers and crossing guards). Does it matter that I didn’t know I was in a school zone? No. Speeding is strict liability which means lack of awareness as to the speed limit is not a defense. However, if a school zone is not properly marked with signage or other indicators, then a driver could defend themselves by saying they were unaware they were in a school zone. Many drivers from outside New York mistakenly believe they can ignore a NY speeding ticket. Unfortunately, anyone who fails to respond to or pay a NY school zone speeding ticket—or any traffic ticket from New York–can have their right to drive in NY suspended. In some situations, the driver can also found guilty be default. Those who pay a New York speeding ticket have admitted guilt and will suffer the points, fines and potential insurance premium increases. New York is also likely to inform the licensing state of any convictions, which almost ensures those violations will end up on a person’s driving record. Police in New York State issued nearly 14,000 tickets for speeding in a school zone in 2017. This is a 6% increase in officer-issued tickets over 2016. Drivers in Westchester County received the most tickets, with 2,010 written that year. Long Islanders were also hit hard, with Suffolk drivers getting 1,450 and Nassau drivers receiving 1,387 school zone speeding tickets. New York City’s five boroughs combined issued less than 100 tickets, but these figures do not include speed camera tickets.